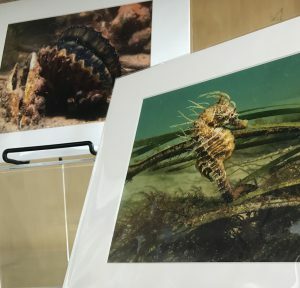 We’ve got a new display up in the library highlighting the fascinating diversity of wildlife in and around Shinnecock Bay. From underwater to the skies above, it’s a rich and diverse ecosystem that never ceases to amaze. Wild life photography by Chris Paparo. The photographs in the display come courtesy of Chris Paparo. Chris is the manager of the School of Marine and Atmospheric Sciences’s Marine Station on the Southampton campus. He maintains the labs and boats that fuel the research into the East End’s coastal ecosystem. Beyond his day job, however, he is a wildlife photographer and lecturer. A Long Island native, Chris has fished and surfed and dived the waters of Shinnecock Bay and beyond for years. 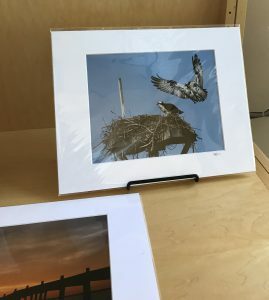 The photos in the display are just a sample of Chris’s work and we thank him for sharing it with the library and the Southampton campus.